When we think of great inventors, artists and writers a gallery of individuals parade through our imaginations. Brunel with his trade mark topper, Jane Austin in her mop cap and floaty dress, Einstein with his big hair, or Van Gogh without the ear. The story of the next new thing is predicated on a comfortably easy-to-package idea – that of the genius, the one-off or, as José Mourinho put it ‘the special one’. So long as the gifted few have a chance to prosper – we will all benefit by following in their footsteps. At least one genius saw a problem with this approach. Isaac Newton’s famous observation ‘if I have seen further, it is by standing on the shoulders of giants’ wasn’t false modesty – Newton was an observer of nature. Innovation, when seen as a process, depends on groups. The management of innovation requires an ability to balance bright sparks who don’t necessarily flash in the same places. Thankfully, most of us don’t need to worry about the fundamental laws of the entire universe. But big picture principles still apply – even in the most forlorn circumstances. Take the story of a girl, stuck in children’s home which she calls the Dumping Ground. She is waiting, forever, for her mother to return from Hollywood and sweep her off in a big pink Roller. It’s not a rags to riches tale – it’s a riches from rags story. Tracy Beaker, despite her tendency to tell even her best friends to ‘bog off’, has found a place in generations of children’s heart. Jaqueline Wilson is one of the most successful and prolific authors working today. She served for 2 years as Children’s Laureate and sold over 35 million books in the UK alone. For her publisher, Doubleday, perhaps one tale stands out. ‘The Story of Tracy Beaker’ published in February 1991 tells you everything you need to know about Tracy, including what she looks like. The partnership between Jacqueline Wilson (words) and Nick Sharratt (pictures) began with Tracy. Nick’s visualisation of Jacqueline’s story created a rock solid brand. It captures the vibrancy and clarity of Jacqueline’s characters and stories. Worldwide, Tracy’s ‘look’ stays the same. Although her name, Tracy Beakerová, as she is known in the Czech Republic, morphs ever so slightly. So how was the creative partnership between Nick Sharratt and Jacqueline Wilson formed? Was it accident or design? Twenty five years ago Doubleday editor, David Fickling, was the catalyst that set the reactive ingredients fizzing. In an interview for the Guardian newspaper Jacqueline Wilson, who hadn’t met Nick before, said that she knew she was in sufficiently zany hands when she noticed Sharratt’s startling canary yellow socks. For Sharratt, who had never illustrated a children’s book before, Fickling’s hunch was a game changer. To date Nick Sharratt has written at least 40 of his own children’s books and illustrated more than 160. I think it showed that David wasn't frightened to take a risk, which is what publishing is all about. It also got people talking about the book, because it was different. It was a new genre for Jacqueline and needed a new approach to make people take notice. It was also a lucky piece of publishing. Jacqueline and Nick hit it off immediately and have a fantastic working relationship. The right partnership can have incredible longevity. Roald Dahl and Quentin Blake, Julia Donaldson and Axel Scheffler are other great examples of this. Marketing departments love stories about individuals but building marketable fiction requires great creative teams. In Tracy Beaker’s case, Jacqueline Wilson’s original stories were enhanced by her team. They spread across media from TV, to film, on-line and around the world. At the heart of the enterprise was a clear brand identity. 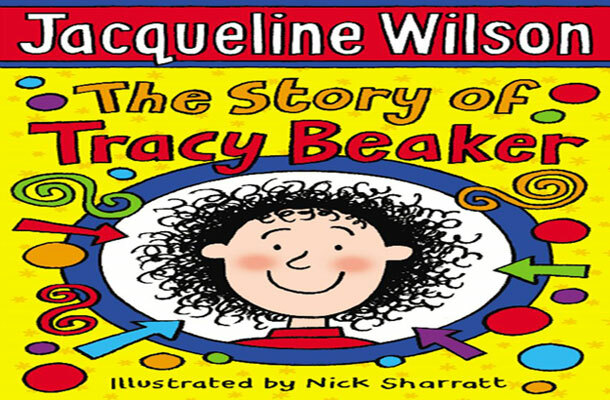 Jacqueline Wilson and Tracy Beaker are both registered trade marks. Perhaps the person who can manage the creative process successfully really is ‘the special one’. My role in working with Jacqueline and Nick is to facilitate the process and to help make sure their work is reaching the biggest possible audience. They are both incredibly professional and talented. They know each other really well so have an instinctive sense of how to work together. But my role is to make sure that the words and pictures are balanced and are working together to make the best book we can.